Professor Dunlap-Morton is an early childhood educator and has worked with infants and toddlers, preschool children and school-age children. She has facilitated parenting classes and child care training and taught college-level courses in a variety of settings for more than 20 years. A former CDA coordinator, Dunlap-Morton developed training in multiple content areas and provided support to early childhood educators, enabling them to complete their Child Development Associate certification. 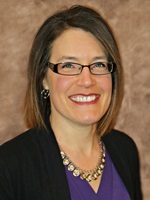 She has also served as the membership liaison for the Omaha Association for the Education of Young Children, recruiting members to promote quality early childhood care and education.